In 1998, the team of Counsilman-Hunsaker and Brinkley Sargent was retained by the City of Allen to perform a Feasibility Study to evaluate options for the development of a cutting-edge natatorium. Each approach was analyzed for the required scope of work, programming benefits, and project costs. Based on the analysis of the Feasibility Study, the community voted to build a new indoor aquatic center, which was completed in 2002. This facility, used for hosting high school aquatic athletic events and community activities for aquatic recreation, serves as a joint venture between the City of Allen and the Allen Independent School District. The 25-yard by 25-meter competitive pool houses two 1-meter diving boards, and spectator seating accommodating up to 650 viewers. 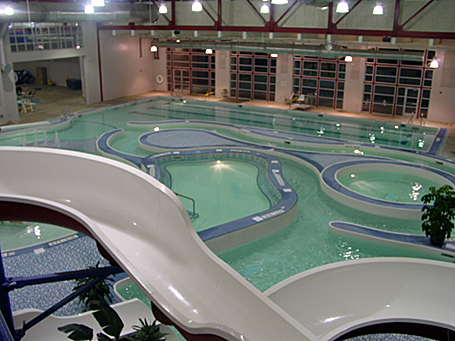 The pool is utilized by swim athletes and the whole community for various activities, including swim meets, training, swim lessons, and aqua aerobics.